Kneale Mann | Leadership: Marketing: Budget Item or Necessity? 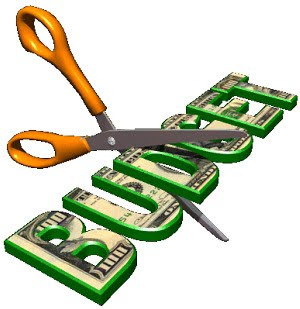 Marketing: Budget Item or Necessity? Few industries have been spared during the last 18 months. We’ve read about employee cuts and budget restrictions. As the cliché goes, the only way through it is through it. But how does that affect your business? If you are in a management position or you own the company you are well versed with budgets. Budgets are delightful things that can consume you. They can reduce your hopes and dreams, your hard work and creative plans to a list of numbers and codes on a spread sheet. If you work for or own a large enough company, you may even have someone who sits in their office staring at said spread sheets with alarming regularity. If you or your boss is someone others call a “bottom liner” then those spread sheets can be the only focus. Lower the numbers at the bottom of the screen and everyone is happy, right? In some companies, short-term thinking and this-quarter-only mentality is rewarded. What’s even scarier, some people are given additional financial compensation for making the line at the bottom as small as possible. Where is Marketing on the list? If the directive is to cut costs, which items go first? Do you cancel phone service? Do you stop paying the mortgage or rent? What about computers and utilities? It couldn’t be salaries and marketing budgets, could it? The first stop seems to be items on the general ledger that are perceived to not be spent yet. After all, you can squeeze through a couple of quarters without letting customers and potential customers know about your offering, right? Think long and hard before you interpret that marketing and people are expendable because they are the only reason your company is different than others. Marketing is not advertising, it is not a campaign, it is a fully integrated part of your company. Marketing is just as crucial as the phone system. In fact, stop your marketing efforts and you may notice the phone is ringing a lot less than usual. Your marketing efforts must be carefully planned. Simply carrying out activities that seem to look and smell like marketing is not enough, you must know the reason for this action. We all must be fiscally responsible. Spending must be done wisely, but simply getting out the hatchet and calling that a "revised business plan" can be dangerous and potentially suicidal. You must understand the potential results of each effort and manage your expectations behind them. If you have a strong strategic plan, marketing will quickly become as big a priority as keeping the lights on.